These images can be difficult to look at, especially the one on the left. 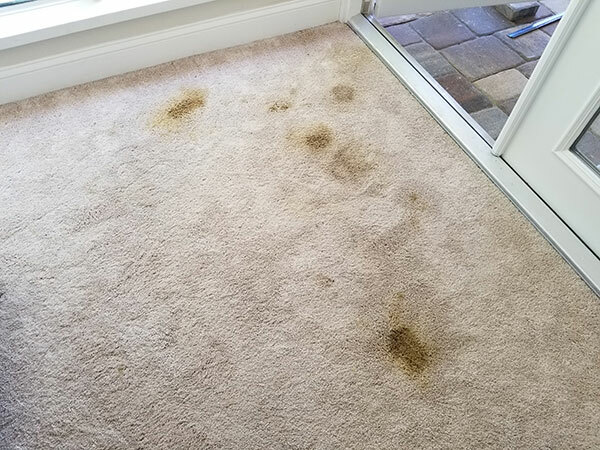 There were taken during a feces stain removal in Tampa FL. The homeowner's dog got sick in the early morning hours, defecating and throwing up on the bedroom carpet. She tried to clean as much as possible but it was too much to handle, especially at 4:00am in the morning. We were able to her on the schedule and take care of the issues within 48 hours of it happening. The spots had dried and the carpet smelled very sickly. She had asked if the carpet needed to be replace or could we save it. I told her I would try my best but we never know what is going to come out when we have deep stains like these. I started off by spot cleaning the carpet with our oxy spotter. I sprayed the stains and massaged the area with a tamping brush. I applied a sanitizer to the carpet to deal with the micro organisms and let it sit for about 15 minutes . Then I extracted the spots with a hand tool and a lot of solution. The spots came out quite readily but the odor, although better, still remained. I knew it was safe and the stains were gone so I went to work on the remaining odor. After applying a odor neutralizer I let it sit for about 15 minutes and then extracted again. That seemed to take care of the odor issue and bring her carpet back to everyday condition. 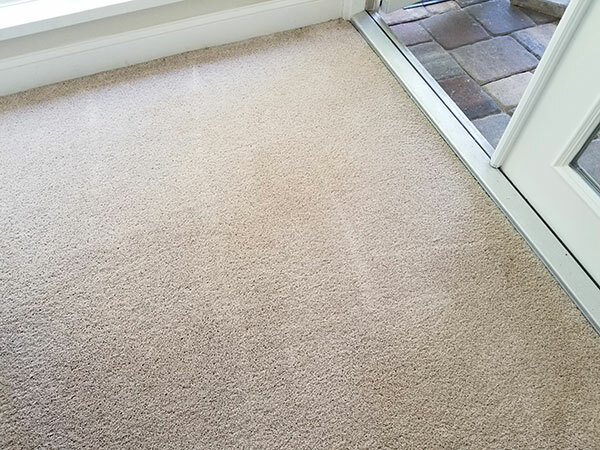 You can see from the before and after photos the carpet was salvaged after all. For feces stain removal in Tampa FL call Chem-Dry of Tampa.